Hi! Welcome to DebtConsolidationCare - The Internet's first get out of debt community. Every year many millions of people come to our website and get help and information that they're looking for on topics mostly related to debt and credit. We've just redesigned our website and made it easier for you to get to the information that you're looking for. Up above you'll see that we cover the most popular topics would you like to learn. How to get out of debts in 4 or 5 years with a reduced monthly payment by using credit counseling tactics and debt management plans. Do you want to connect with a professional? Do you want to do it on your own? Do you want to calculate your options? Do you want to compare those options all that's available to you when you click on that tab? Would you like to learn how to avoid bankruptcy by using negotiation and settlement strategies with your creditors? Would you like to connect with a professional who can show you and assist you in doing just that? Would you like to learn how many of our hundreds of thousands of community members have been able to do that for themselves through our forums. That informations are there. Are you dealing with a debt collector? Well, 1 in 7 Americans are right now. So if you're here looking for information about a specific collector that you received a phone call from or a letter from, click on debt collectors. Learn about how to deal with those situations. Do you need a professional to help? Have you been a victim of harassment from a debt collector? We've got resources and professionals for you to connect with. In fact, at any time if you need professional resources on any of those topics, pick up the phone, call the 800 number that you see on your screen throughout all of our website and get connected with one of those professionals and talk with them at no cost to you. Do you need credit recovery? In other words, you've had a negative credit event and you're trying to recover your credit profile or your score, fix items that are inaccurate. When the credit reporting bureaus report in front of Congress that over half of the files that they maintain on Americans contain inaccurate erroneous information, you might just want to take a look at our credit monitoring section of our website. We've got a ton of tools that are available for you. Letters, things that you can start to do to be proactive in helping yourself help your credit because nobody else is going to do that for you. Bankruptcy. Very popular in today's economy. Over a million people file for bankruptcy each and every year. Would you like to learn more about bankruptcy? Why most people think it's an option of last resort when it can actually be considered as an option of first resort? How do all of your options stack up against bankruptcy? Sometimes bankruptcy makes a lot of sense. Click any one of the topics that are most popular and a little sub menu will open up and you'll see the forum section. Click a forum, go right there, and you'll find where information is being shared every minute here on our website. So you can learn what other people are doing, how they're navigating and even some of our moderators and experts learn from them as well. We've put together so many tools here at DebtCC for you to embrace, use, get results. We've got calculators. We know for every question there's an answer, for every problem there's a solution and we've got access to both. It is a way to manage your multiple debts efficiently. By consolidating debt, you can repay the outstanding balances at a relatively lower rate of interest and with the help of single monthly payments. Consolidating debt - Is it good? How does it work? Let us see this example to know how debt consolidation would work for you. This implies you're paying 4% less on the interest rate. If your total debt is $60,000, then you'll save (4% * 60000) = $2400. Get a no-obligation FREE counseling session from an experienced financial counselor. Figure out how much you can pay and save on your debts. Know how long the debt consolidation company is into business and how long it’ll take to be debt free. The company should also have satisfactory client reviews. 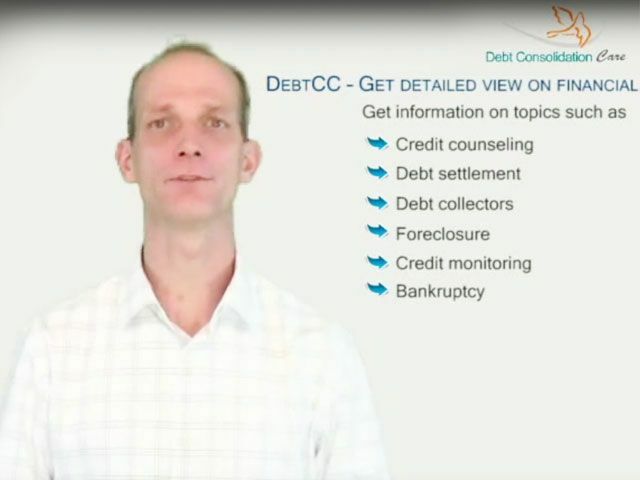 Discuss your debt problems with the counselor. Explore your options. Choose a plan that will help to simplify and lower your monthly payments. This is where you take out a personal loan from a financial institution, such as a bank, to pay off your multiple creditors immediately. Through this loan consolidation option, you make one consolidated low monthly payment on the new loan. You can obtain this loan with easy terms if you have a good credit score. This is where you can consolidate your multiple payday loan debts with a simple payment plan at a low-interest rate. You don't have to pay extra dollars for fines, high-interest rates, and penalties. Just follow the new repayment plan that fits your budget. You'll be out of the vicious cycle of payday loan debt soon. This is where you can pay off your high-interest credit card debts with an affordable payment plan. Late payment fees and penalties are dumped. All you need to do is pay a small amount every month to a debt consolidation company and be stress-free. The consolidation company will manage your credit card debts, collection calls, and payments. It is a bit difficult to take out a debt/bill consolidation loan with a bad credit record. So, it will be better if you look for other options to consolidate your credit card debt along with other unsecured debts. Know more about: How do you consolidate your credit card debt? This option can help you take control of your financial life by paying a reduced amount up front. You can use a debt settlement calculator to find out how much to pay and save. Through this option, you can replace your multiple bill payments with a single low monthly payment. You also get a smart budget plan and education to reduce expenses. In this process, you replace your unsecured bills with a secured loan at a low-interest rate. So, you can repay multiple debts at a low rate and lower single monthly payments. This is a legal option which can help you get your financial life back in order and you can start afresh. 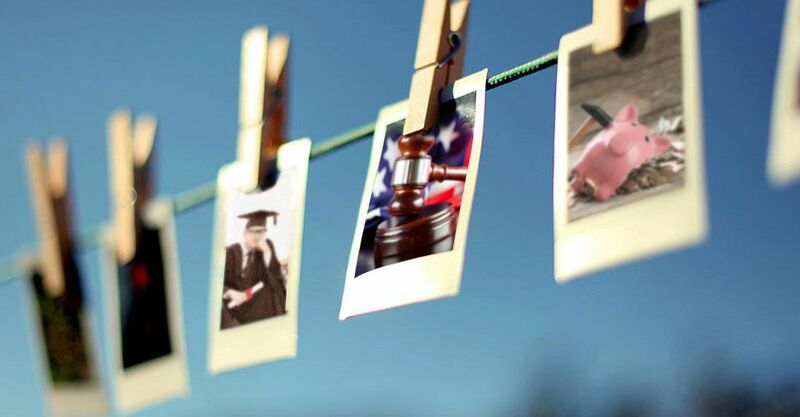 You can initiate this legal process to get a discharge from your multiple debts. Can I file bankruptcy to get rid of bills, though they are not of any big amount? I have some debts to pay off. But, they are not of any big amount. Can I still file bankruptcy to get rid of them?